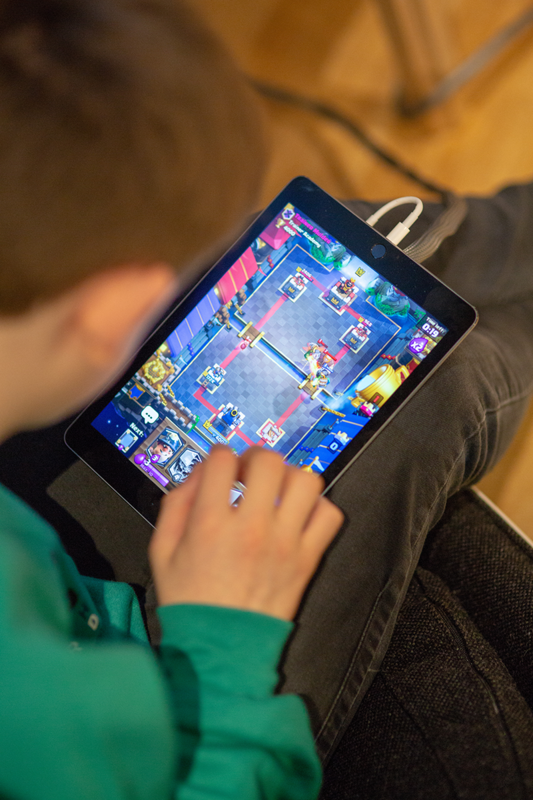 The Easter Holidays saw the Supercell Youth Board fly over to Helsinki for a very special few days spent feeding into Supercell’s online safety strategy at their Helsinki HQ. Alexander, a Supercell Youth Board member, shares his diary from the trip with us. Over Easter I had the amazing opportunity to visit Supercell’s headquarters in Helsinki. I went with a passion to stop bullying and met many like-minded people on the trip. Because I and three others live in Northern Ireland we had to leave a day early and take a flight to London where we stayed the night. The next day we met up with the Youth Board and Diana Award Staff, and although awkward at start by the end of the trip it felt like we had known everyone for years. We took the Heathrow express through London at rush hour to catch a two and a half hour flight to Helsinki. By the time we arrived in Finland the time was two hours ahead and so it was already mid afternoon. The hotel was incredible with a statue of a cow on the entrance, the rooms we stayed in had neon lights replacing windows but we were not there for long as we had to unpack and then take a bus. The restaurant was a burger bar called Stones where they served delicious moose burgers. That night we also received fleeces that we would be wearing the next day supporting The Diana Award and anti-bullying. Alexander, hard at work during a planning session at Supercell HQ. The next day we woke up and took a ten minute walk to Supercell’s HQ. Upon entering we met Jess, Head of Anti-Fraud, along with a few other anti-fraud champions. At the top floor (where Supercell was) it was a no shoe area and so everyone walked around in socks. We had cucumber sandwiches for breakfast along with some sort of mixture of eggs and spinach. Jess then had taken us for a tour of Supercell’s HQ complete with neon swings and a live world map of logins. After the tour and breakfast we had many ice-breakers followed by a Q&A session with the developers of Supercell’s successful titles including their beta game “Brawl Stars”. We than had presentations on cyber-bullying and how Supercell tackles bullying within the chat room and the upcoming improvements. That evening we had to take a small ferry across a lake completely frozen over by ice to get to an island. Jess then gave us a short tour of the island and told us its history and purpose. At the island we went to nice restaurant, Panimo, where we had an amazing meal consisting of pancakes and reindeer. Testing out the Supercell games in their special practice booth. 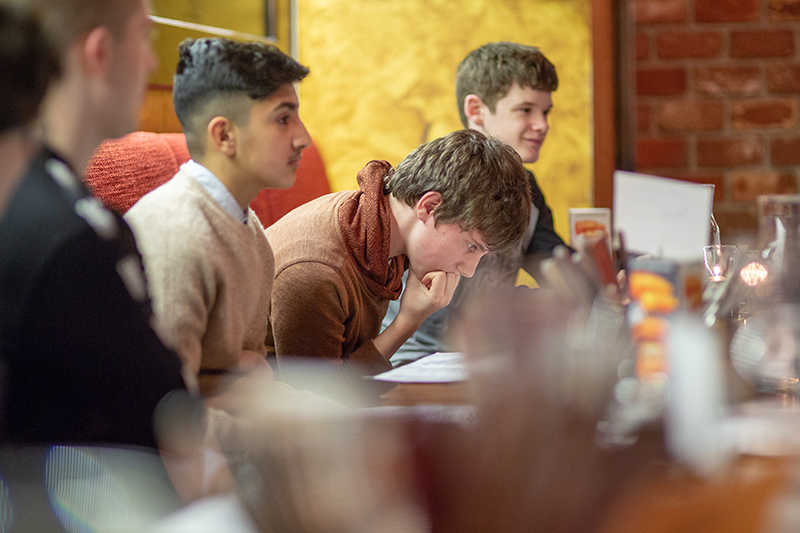 The next morning we walked back to Supercell headquarters, had breakfast, and worked on ways we want to tackle bullying this year and plan to create a curriculum accessible to anyone. We also had a presentation by senior members of the youth board about what bullying is especially cyber-bullying. After lunch we worked on the content for the curriculum and certain trends. That evening we had to leave early due to a scheduled meeting at supercell so instead we went to an escape room where we had to work in groups of five solving riddles to escape. We then had dinner at a Viking themed restaurant, Haralds, where we were given a plate of food between four and we picked how much we wanted, complete with a Viking helmet as to look the part. That night we had an early sleep as we were to wake up at 3.30 in the morning. Although the flight was longer than before, due to delays, time simply flew by. We then said our goodbyes at the airport and even had a very good speech.